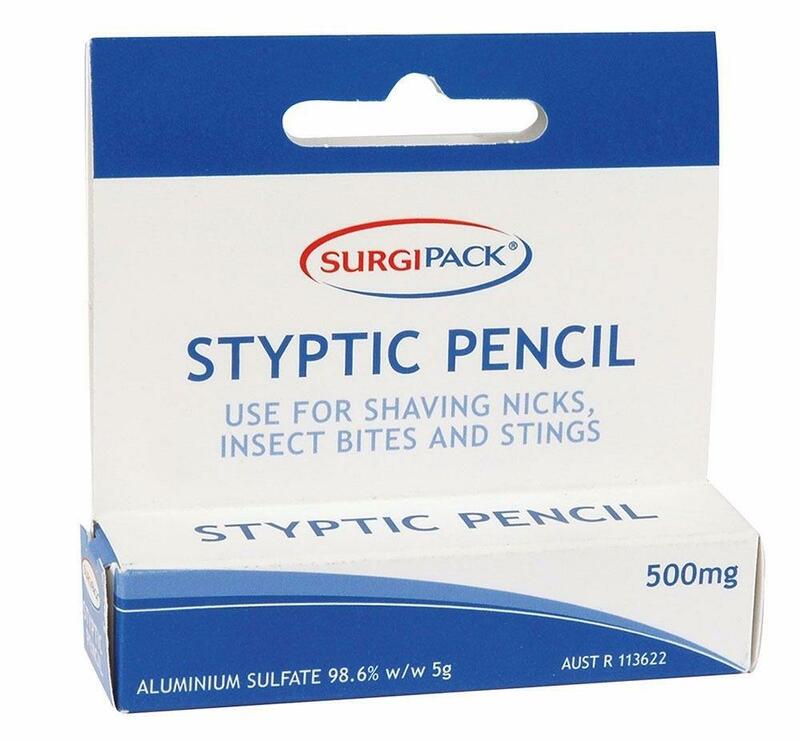 Surgipack Styptic Pencil controls bleeding caused by minor cuts and abrasions. For external use only. Controls bleeding caused by minor cuts and abrasions. For external use only. Do not use on open wounds, burns or in body cavities. If bleeding persists consult a Veterinarian immediately.